**Pre-registration is not yet open.**. Pre-registration for the upcoming AATSEEL Conference is now available. 2019. Want to join or renew your membership? Click here. Panelists and presenters must pre-register for the conference by December 15, 2018. The deadline for pre-registration for the 2019 AATSEEL Conference is January 1, 2019. On-site registration will be available beginning Thursday, February 7, 2019 at 3:00pm. 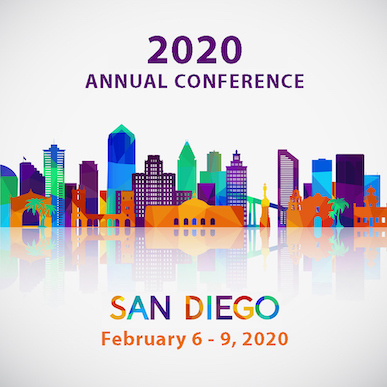 Pre-registered conference attendees will pick up name badges and conference programs at on-site registration beginning on Thursday afternoon. Name badges provide access to all conference events, coffee breaks, receptions, and breakfast on Friday, Saturday, and Sunday mornings. Preregistration refunds will be made for written cancellations received up to the applicable preregistration deadline, less a $10 processing fee. After that date no refunds will be made. Please direct questions about payments or refunds to the AATSEEL Executive Director. All other questions regarding registration should be directed to the AATSEEL conference manager Rachel Stauffer.